In the field of blogging there are various blogging platforms available for their newbie blogger user.So there are actually plenty of option open for the new bloggers to choose their desire blogging platform to get started in this business.Before going for any such blogging platform you have to know well about these blogging platfirm,cause without knowing about it you can't went for the right one Alternatively if you even went out with a wrong one then at the midway of success you'll face some serious problem which can harm you a lot and even make you to stop dreaming about blogging carrier in future.So it's always a better policy to know before you do.However Blogger and WordPress both are the biggest competitor of each other and provides free blogging servics to their user. Most of the blogger generally start their blogging carrier with any one of them without knowing the actual difference between them that's why their blogging carrier sometimes failed. So here in this article we will explain you the basic difference according to the main advantage and disadvantage of these blogging platform and also the necessity of use these two blogging platform. Blogger blogs are hosted on free domain service which is offered by Google itself. Today largest number of blog owners uses Blogger as their personal and commercial purpose. In Blogger you can see the source code of your blog means you can modify your blog theme and create special effect in your blog with most powerful web designing language of today's world named as jQuery. This is the biggest advantage of this platform. So if you are new to blogging and want to make a good blog then blogger would be the best choice for you because there is a lot of things to learn which will help you further in your blogging carrier. WordPress offered two services one is WordPress.com and another is WordPress.org. WordPress.com is a free demo service whereas WordPress.org is a premium service and you have to purchase a hosting plan to use that service. WordPress.com have limited number of option in comparison to WordPress.org means source code can't be seen therefore we can't edit HTML code or can't even add any 3rd party code. Free service don't provide you a option to make money through.Whereas the premium feature released by WordPress have lots of advantage. It uses PHP scripting therefore its permits user to work with highly customized and interactive blog theme that's why most of the web developer preferred to go with WordPress as blogging platform. So,comprehensively WordPress is a good choice for your business purpose where you want to maintained and customized data easily. The article discussed above will give the basic comparison about these two platform. If you just want to start blogging and searching for a good blogging platform then you can choose anyone of them based on basic need of your blog. I've been contemplating for the longest time on moving to WordPress. But look, I'm still on Blogger! Haha! I tried Wordpress before, but it's difficult but now, I found blogspot as my platform all throughout. I've got my adsense only once which Google released at once and until now, it's the same adsense number I'm using. 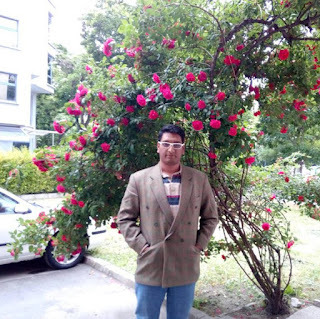 I maintained multiple blogs in which I coordinated with Webmaster Tool. Maybe someday, I'll buy a domain of my own. Until now, I am still torn between the two so I have blogs in WordPress and also some blogs in Bloggers. Both has its advantages and disadvantages. 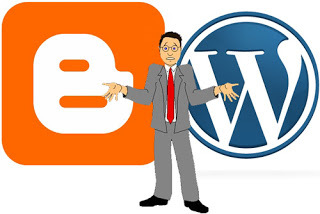 Im using both - blogger and wordpress. But you know the premium is just really expensive for me for wordpress. It's just really complicated. Blogger is user friendly. I like bloggers easy interface and wordpress professional look. I like blogger since it's free and easy to use BUT I know wordpress got more features! I have tried using both and so far each has its own feature that I both love.